As a resident of Splendido, you’ll be prepared to meet your health care needs—both expected and unexpected. Our onsite health center Sonora offers peace of mind in the form of continuing health care—should you ever need it. It’s just one of the many comforts featured at our award-winning residence. By moving to Splendido while you’re still healthy, you’ll be covered if a need for additional care arises. Sonora at Splendido offers assisted living, memory support, and Medicare-certified skilled nursing care, along with rehabilitation services, short-term respite stays, and hospice care in surroundings that are intimate and residential in character. Our location not only provides great views of the Santa Catalina Mountains, but we are within two miles of Northwest Medical Center. At Sonora, residents are surrounded by comfort. Each residential neighborhood is home-like and includes a living room, activity area, and bistro. And because details matter, special attention has been given to color palettes, tactile art, customized window treatments, and more. Sonora at Splendido provides a full continuum of living choices to address potential future health care needs. As needed, care staff are available to assist residents with daily tasks and reminders about scheduled events. We truly understand that when someone close to you shows signs of Alzheimer’s Disease or dementia, the decision about where to turn is difficult. Sonora at Splendido’s memory support program emphasizes ability over disability and strengths over limitations. From responsive programming to soothing surroundings, our goal is to make residents feel comfortable. Large one-bedroom suites include private bath with easy-access shower, assist bars, shower bench, and more. Music and arts and crafts activities are just a few of the many activities residents enjoy. Resident self-reliance is encouraged through familiar daily tasks, and participation by family and friends is always welcome. Nursing care is provided for individuals who need recovery support due to illness or surgery, concentrated rehabilitation services, or ongoing long-term care. Knowledge of changing physical and emotional conditions and anticipation of residents’ needs are all part of our approach to quality care. Twenty-four-hour nursing staff is provided every day. Support groups, social services, and recreational activities also are available. Occupational therapy helps with activities of daily living skills. Speech therapy addresses swallowing disorders and language impairments. There comes a time when caregivers need time—time for family vacations, business trips, or for something personal. Or, a loved one may need assistance after a hospital stay or during an illness that does not qualify for Medicare inpatient benefits. Sonora’s short-term stay program provides care when caregivers can’t. Hospice is a philosophy of care that seeks to support a comfortable, pain-free life and to manage other symptoms so that an end-of-life experience is dignified. When a resident elects to participate in the hospice program, we provide person- and family-centered care in conjunction with local hospice agencies. 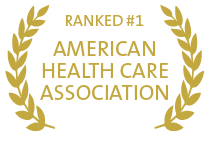 The American Health Care Association and the National Center for Assisted Living have ranked Sonora at Splendido #1 among 142 health centers statewide for quality achievements.